Born: June 5, 1833 in Boston Ma. To: Elisha Bourne Gibbs, Capt. ; (1819 – 1872) (Phineas Gibbs, Capt. 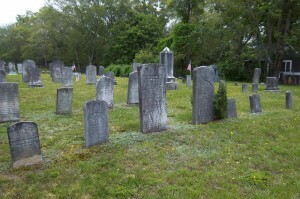 & Anna Raymond); Elisha married (1) Emeline/Emily Barlow (1824 – 1857) (Levi Lincoln Barlow & Sally Lumbert) in Sandwich Ma. on August 12, 1843 & married (2) Martha (Bourne) Baker (1826 – 1862) (Henry Bourne & Almira Haskell) in Foxboro Ma. on November 11, 1858; Martha married (1) Elijah Baker, Jr., Capt. (? 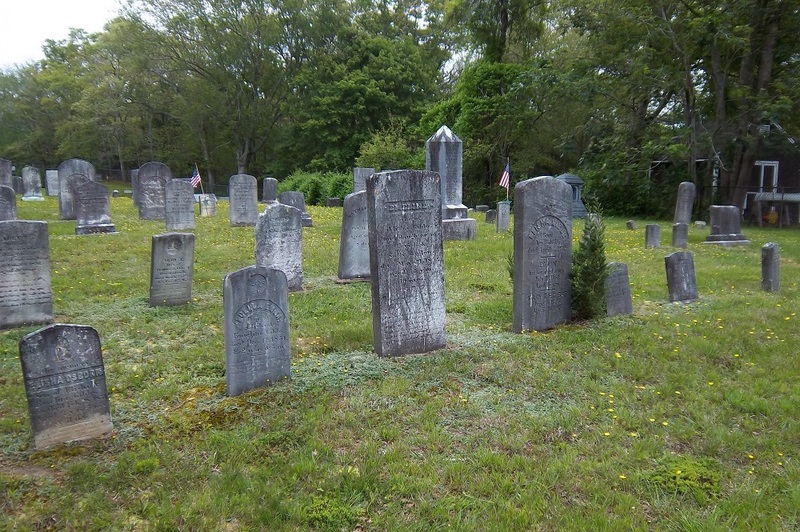 – 1855) (Elijah Baker & Olive Gifford) in Sandwich Ma. on August 8, 1847. 1. 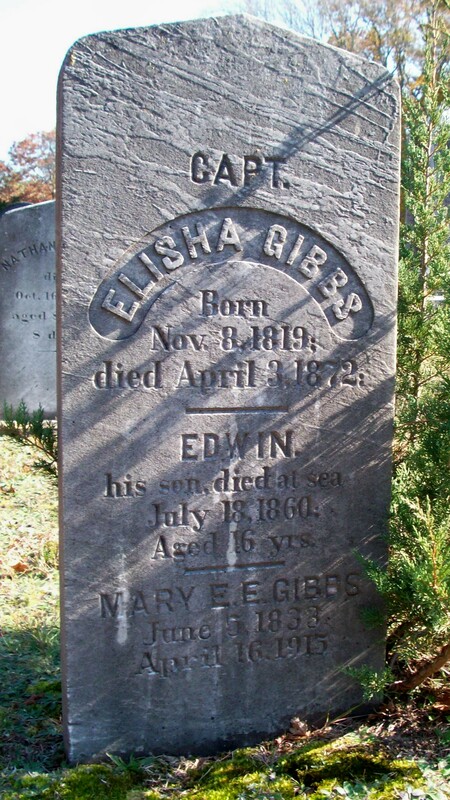 Alice R. Gibbs; (Abt.1864 – July 10, 1878); Alice died in Braintree Ma. 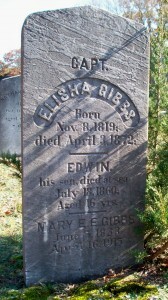 at 13 yrs, 11 mos, 11 d.; She is buried in Pocasset Cemetery. 2. Lucy Wyman Gibbs Macgregor; (January 28, 1866 – Aft.1948); Married Wallace Macgregor (1867 – 1937) (William H. Macgregor & Mary Wilson) in Pomona Ca. on July 16, 1891; They lived in Berkeley Ca. ; Lucy died prob. in Boston Ma..
2. Anna McAllister Gibbs; (November 25, 1867 – September 6, 1870); Anna is buried in Pocasset Cemetery.